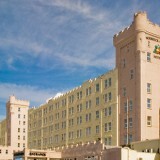 The Britannia Savoy Hotel is a popular and intimate Blackpool hotel, located on the quieter North Shore. 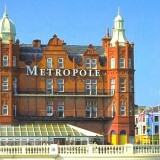 It is close to many of Blackpool's famous attractions, and sits proudly overlooking the beach. 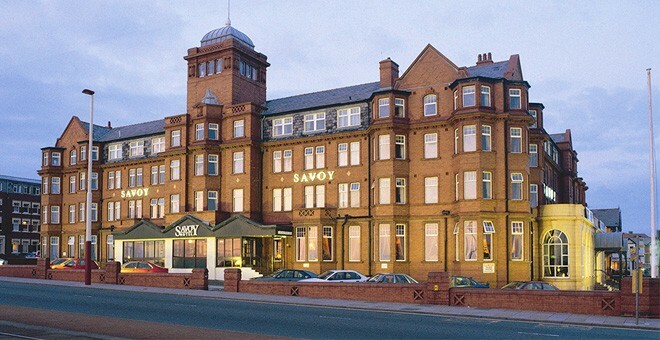 Guests looking for Blackpool hotels on the seafront should therefore consider the Savoy, which offers a fantastic location and value for money accommodation. As a bustling seaside resort, Blackpool offers much for adults and children, guaranteeing a memorable time for all. Blackpool is particularly popular in the autumn, when the town really comes alive as it lights up with the famous 6 miles of Blackpool Illuminations. Other can't-miss attractions in this Northern seaside town include the iconic Blackpool Tower, a feature of the seafront, and the towering Ferris wheel, which looms over the city and dominates the landscape as seen from the coast. 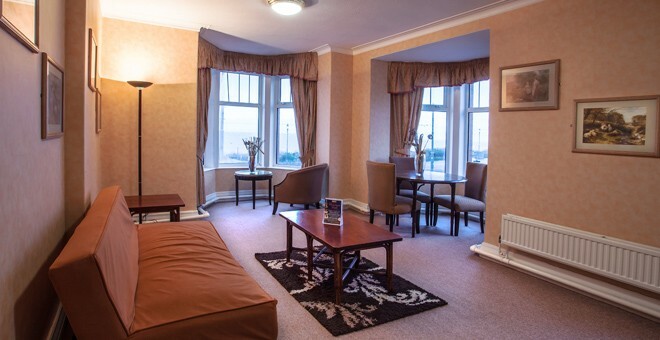 Being a popular seaside resort, Blackpool naturally offers plenty of accommodation options for visiting tourists, particularly along the seafront and in the town centre. 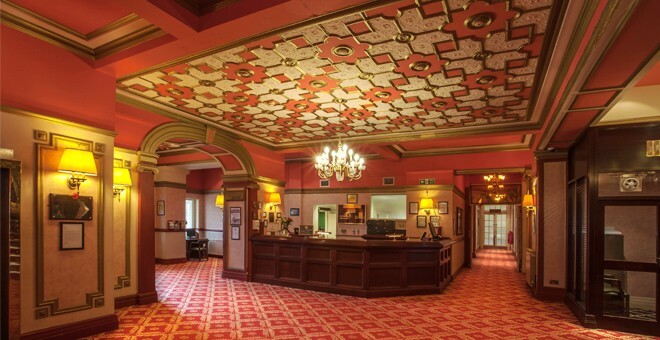 Even among these, however, the Savoy Hotel stands out for not only its location, but also its room prices, which stay competitive year-round - even during the summer months, when Blackpool accommodation is in high demand and most Blackpool hotels start charging higher rates. 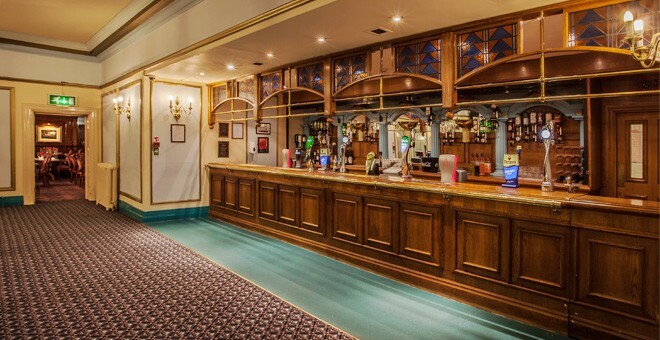 Where amenities are concerned, Savoy Hotel itself features the Albany Bar, which is ideal for a quiet drink or snack served throughout the day. 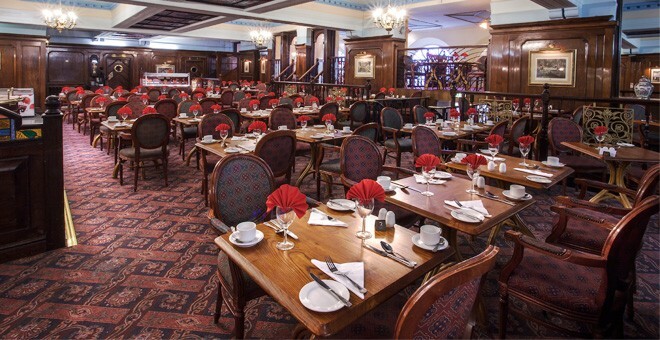 There is also the popular Gilberts Restaurant, serving breakfast and dinner with delicious dishes to suit all tastes. On selected days, the hotel offers entertainment featuring the resident organist and vocalist, as well as prize bingo for some family fun. The Ballroom is the hotel's main highlight, with intricate detailing around each stained glass dome in the ceiling. 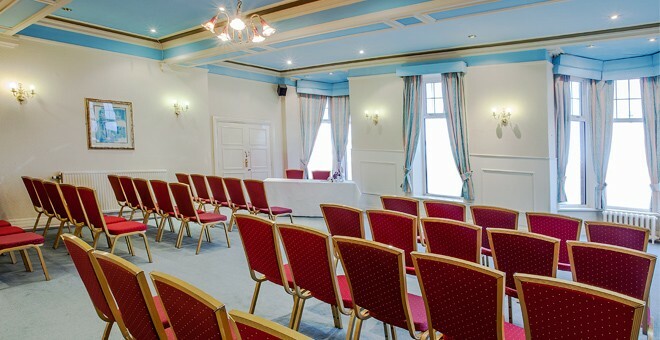 It is a great place to host business functions, events and banquets. 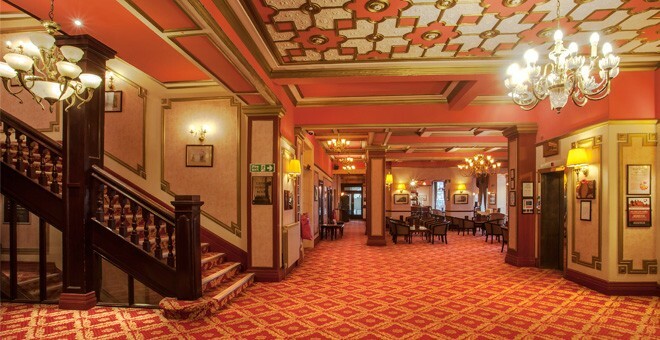 The Savoy also offers free car parking and has wheelchair accessible facilities. 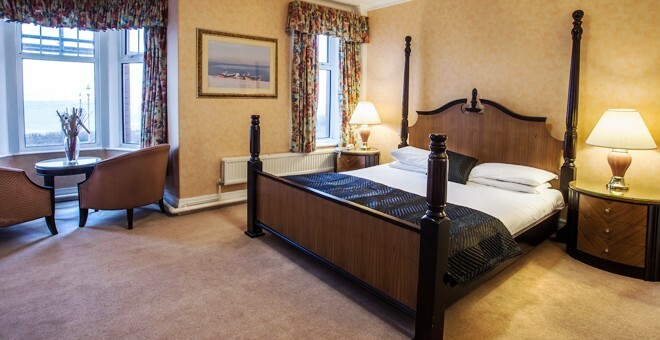 All our 145 stylishly decorated bedrooms at The Savoy have a private bathroom, tea/coffee facilities, a TV and a telephone, and some are also complimented by sea views and luxury spa bath.